Seth MacFarlane is best known for making the hit animated TV series Family Guy. You'd think that this unique style of humour would be the saving grace for this film, and something that would hopefully set it apart from most other generic Hollywood comedies today, but in fact that's the reason the film doesn't work. With an episode of Family Guy, each lasting around about 20 minutes long, the show is mostly just a format for jokes and random pop-culture tangents (if you search for clips on YouTube most of them are only 5 to 10 seconds long as the episodes are essentially focused on being a string of jokes), with a minor plot merely being the backbone upon which the jokes can be placed upon - and that works because it's only 20 minute long. This same formula has been transferred to the big screen for Ted, except Ted isn't 20 minutes long, it's just short of 2 hours. By stretching out the running time and transferring it to a live action film the jokes cannot be as random, nor can they be as often either as the film would look more like 2 hours of random clips making an almost You've Been Framed style montage of gags with no sign of any direction. 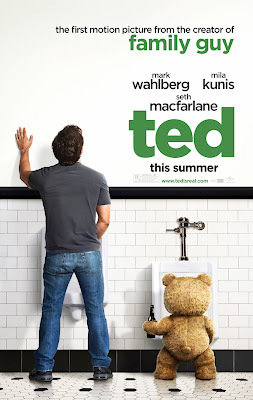 Unfortunately for Ted this exposes the very weak plot of the film, which is essentially a poor, overly clichéd and done to death rom-com formula which is completely predictable from the very start. But surely that's alright though isn't it, because as we know from the likes of Family Guy the plot is just the backbone for the jokes to be placed on top of!? Unfortunately not, the plot of the story is key unfortunately folks - it's film 101. Looking past the weak plot though, are the jokes even all up to that anyway? Well I'll admit a handful of them were actually very funny, and I did have a good laugh at some of the gags throughout the film. What I do like is MacFarlane's style (particularly the use of Family Guy like music), the clear love for cinema that he himself has (with a number of brilliant references to cult film classics such as Star Wars, Indiana Jones, E.T, and the biggest of all Flash Gordon which has a particularly large influence), and a couple of surprise cameos that pop up along the way too. Mark Wahlberg also does a good job in the lead role, but I did ultimately feel that he was limited by the film and can perform a lot better. Yet whilst Ted has its moments and good laughs, most of the jokes aren't anything particularly special. Between each of the bigger gags there almost seems to be a bit of a lull where smaller gags bubble up before bursting into a bigger moment (it is no coincidence that it is often here where the weakness of the plot is revealed, and the audience gets a lot quieter as the hysterics drop). A lot of these are okay and do their job of filling the gaps as the smaller jokes of the film, but a lot more of them end up being below average and do become quite tedious. It's at its lowest points were the film opts for 'jokes' that rely upon using swear words, insults, and extremities in order to give the appearance of them being funny. This is the laziest form of writing for comedy and happens far too much in films today; it's the ideology that if a normal sentence isn't funny, then placing a swear word into that sentence instantly makes it funny. There is nothing particularly exceptional or overly memorable about this and it ultimately leads to a lot of the film being entirely forgettable. I know I'll be fighting against the majority here, and I'm sure that most people who go to see Ted will say that they enjoyed it. This is a Family Guy film made and marketed for the Family Guy fans, with creator of both Seth MacFarlane re-using the same style, structure, brand of humour and most of the cast from the popular animated TV show. Unfortunately the same structure doesn't work when stretched out for the big screen, and the handful of good gags aren't enough to make up for the disappointment that comes from the poor plot and the majority of sub-standard jokes. The majority of the film is ultimately forgettable, and for anyone who's already seen the film, stop and think; just how many of the jokes are actually memorable enough to recall now? 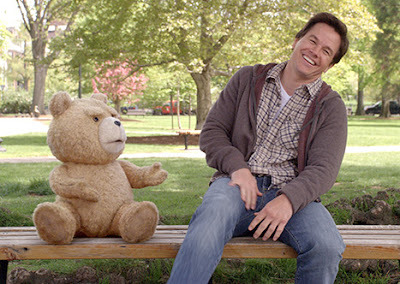 Ted is a fairly interesting premise, but one that fails to outlive anything much more than the trailer. 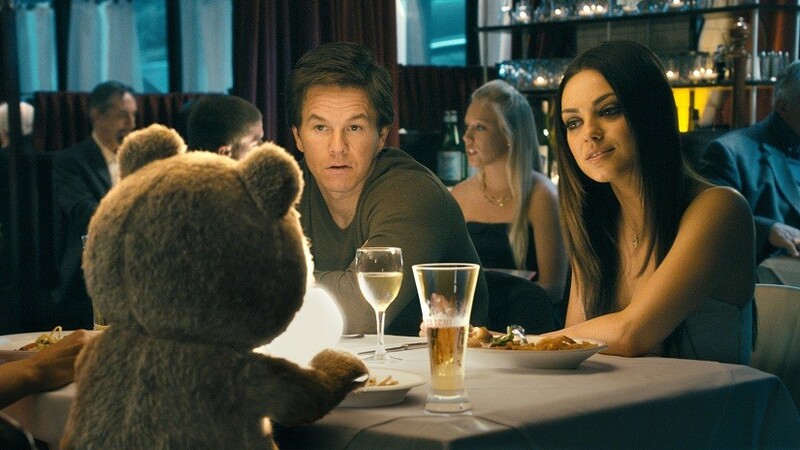 Ted is now showing in cinemas across the UK. 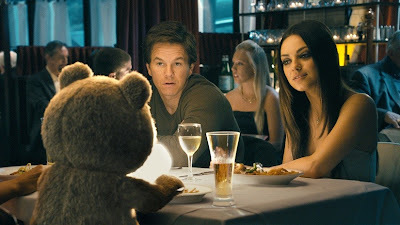 Have you met Ted!? Agree or Disagree with my review? Leave your comments below!